Picture a humble government school in an unsung village bristling with children of glorious talent. A bottomless reservoir of human resources for a better, brighter India is churning in these institutions of learning. 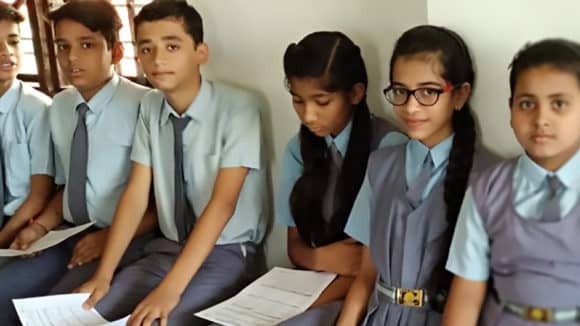 There are 220 Million Students in 1.2 Million Schools of India, and 2/3rds of all school going children in 5-15 years of age bracket are enrolled in government schools. While poverty and socio-cultural handicaps which obstruct access to education are being addressed in a variety of institutional interventions, there is little focus on individual sensory experience of learning in a classroom. There are children who cannot read what is available to them on the classroom blackboard or books because of refractive error or loosely speaking, eye sight. The concerns of a community in a developing country are persistently molded by vagaries of daily survival. Eye health of children barely makes to this challenging prioritization of concerns held by families, schools and governments. Comprehensive School health programmes in India lack the rigor, aptitude and resources needed to address multiple aspects underpinning children’s health and are often limited to nutrition, vaccination and perfunctory physical checkups. 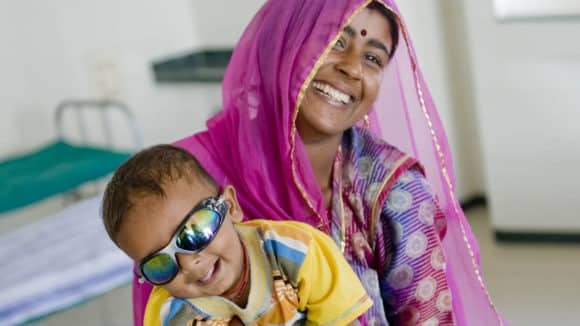 India lacks the necessary infrastructure and health forces needed to address the overwhelming burden of eye health. Limited eye hospitals, ophthalmologists and frontline workers oriented to the tenets of prevention and primary care define the landscape. Being able to see clearly has direct implications for learning and leisure, two defining characteristics of development in children. Weak grades in school and dismantling of peer life quickly recede into circumstances that curtail overall economic and cultural development and impede the achievement of full human potential. As the generation wears on, families become increasingly dependent upon these children-turned-youth for sustenance and care in a cycle of communal support. It is ironic that what may be a persistent annoyance in the eyes for children may alter the course of life and still does not deserve the importance of redress it needs. 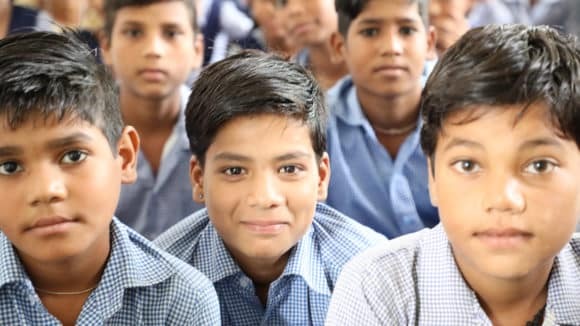 In this context, eye health for school going children assumes great significance and Sightsavers India is investing in development of institutional capacities of governments and NGOs for addressing the needs of school eye health. A dedicated cadre of Human resources in the education and health departments is trained to orient teachers for preliminary detection of children needing care, while technical partners found within public health system and NGOs are supported to conduct detailed eye examinations, refractions and provide free spectacles to those children who need it. Schools are a part of the ecosystem which compose of teachers, parents and community and these stakeholders are sensitized on the need for eye health prevention and care. In a nutshell, we are making a difference in the way eye health services are delivered in the schools, affecting the environment for learning and redefining the landscape of awareness with a hope that the evidence we generate is used for better policy and improved demand for eye health. 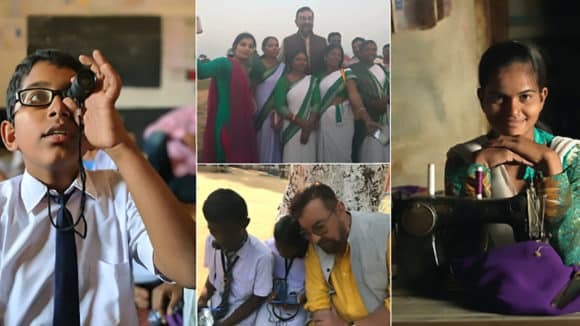 Knowing that 30% of India’s blind lose their sight before the age of 20 years, that refractive error is responsible for more than 60% of the 19 million visually impaired children worldwide and that it can be diagnosed and cured easily, we began the initiative to serve 2.3 Million children in more than 10,000 government schools of Odisha, Rajasthan, Bihar and Madhya Pradesh since 2016 and recently added parts of West Bengal in 2017. 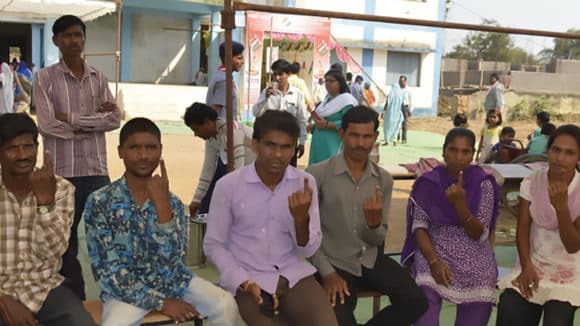 Sightsavers School Eye health programme has had a proud beginning in some of the remotest locations of Indian countryside and local governments are fast adopting our models. The accomplishment of great destinies unravels on long roads of dedicated labor, and fueled by the vision and experience of delivering eye health services, we believe that all children must be able to very clearly see blackboards and books in their classrooms and experience the world outside it in just the way it is, so that they may change it for the better. The author works as Programme Associate at Sightsavers India.